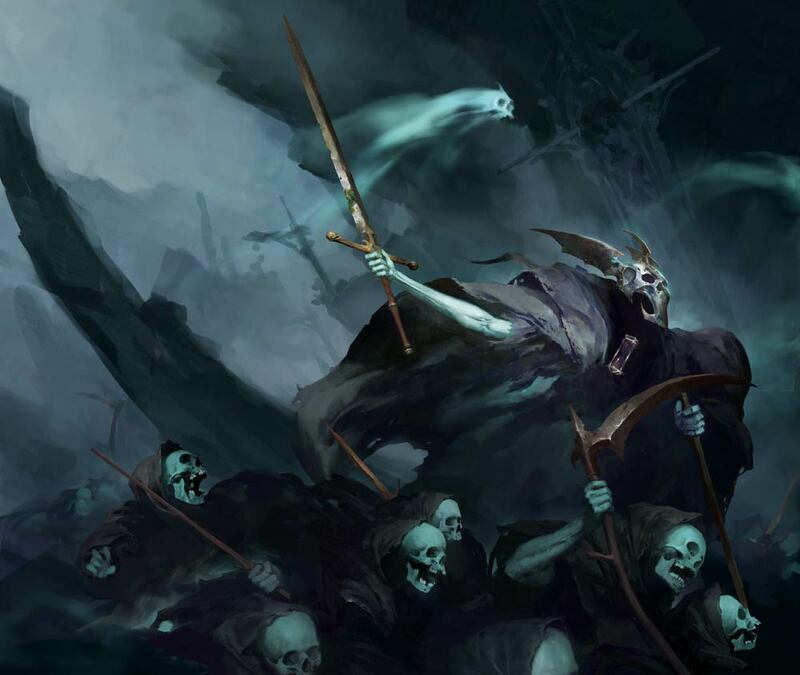 The Darkoath make a deal and a High King hosts a ghoulish feast in the latest Malign Portents Stories. 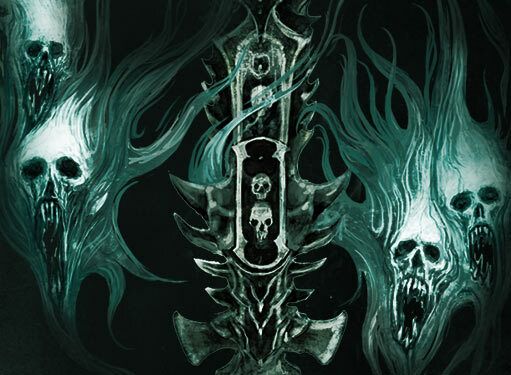 If you haven’t been keeping up with the Malign Portents narrative, you’ve been missing out on some grizzly tales in the Mortal Realms. We’re taking a look at the latest two stories to see how this event is changing the game once again. First, we get a glimpse of a plan to free Slaanesh in The Scent. 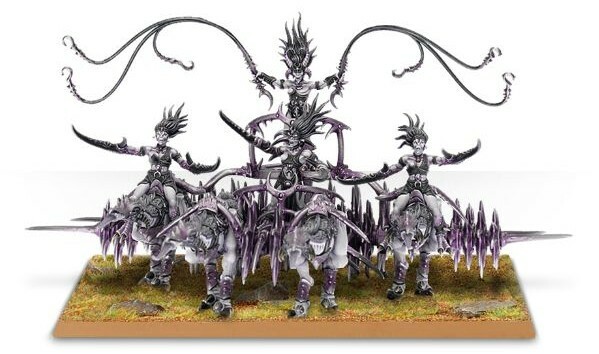 The Scent opens with a retinue of Slaanesh Seekers and Chariots quickly moving through the pathways of the Realm of Shadow, Uglu. A Champion of Slaanesh named Reshevious has a guide who can track Slaanesh’s scent. 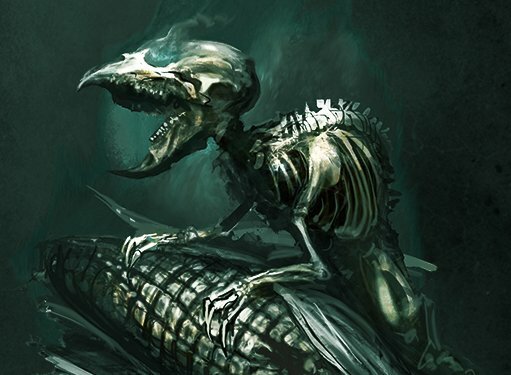 This guide is a mutant with it’s “…limbs atrophied, its nostrils and ears massive and grotesque, its eyes replaced by deep and dripping olfactory pits.” It is known as the Inhilus and it could be the key to locating the imprisoned chaos god. But Reshevious is more than a little reckless – and even though he senses something is wrong he rushes headlong into an ambush of javelins and blades. The Chariot slams into the ranks of ambushers and manages to fell quite a few, but there is only so much inertia can do when the mass of bodies is so much greater. 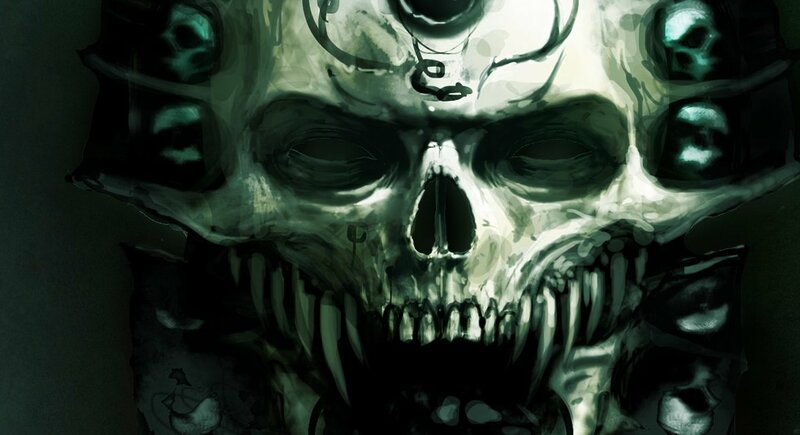 As the speed slows, a voice rings out across the scene – it’s the Darkoath Warqueen and she’s seen enough. What transpires next is your typical comic-book style “we fought and we could kill you, but we should team up and take on the bigger bad instead” type of conversation. But what’s interesting about it is the isn’t just the implication of how she knew to setup the ambush, but the “why” she setup the ambush. The second story is Time of Plenty and it is quite the juxtaposition of images. In the story we have High King Atheldade preparing for a feast. He’s standing before a banquet and he’s about to address his people. But all is not as it seems. His kingdom has apparently fallen on hard times, and they’ve had to resort to some drastic measures to stay fed. But after a great victory they have secured their homes and have the spoils of war…or so we’re led to believe. Here’s the kicker – there is a second scene that is being played out. It involves a “kingdom” of ghouls who have returned from a battle loaded up with corpses to eat. It mirrors the narrative from the High King’s point-of-view, but with an undead twist. Reading this story in it’s entirety really gives you that double-narrative feeling. When I read it, I had lots of questions running through my mind – was this actually two different stories told in parallel for effect or something else? Was a tale about the same kingdom from a time long ago and it’s current state? Were these ghouls, in some way, reliving their past in a twisted ritual? Was the king ‘remembering’ a time before or was he cursed with a vision from his past life and somehow he couldn’t see his current state? What do you think of these two stories from GW? 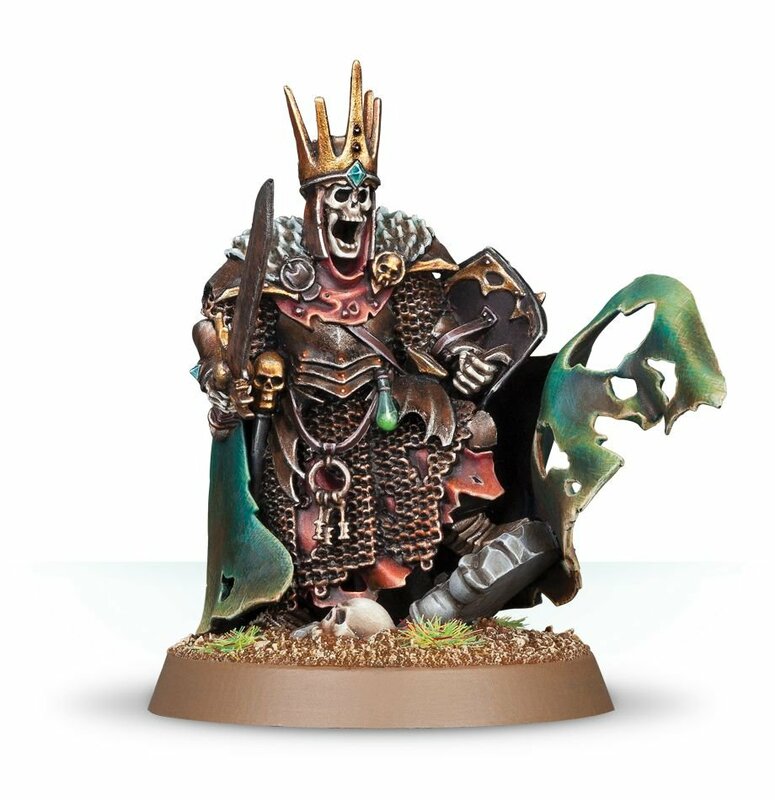 Do you think the Warqueen is actually trying to rescue Slaanesh? What about that grizzly feast?